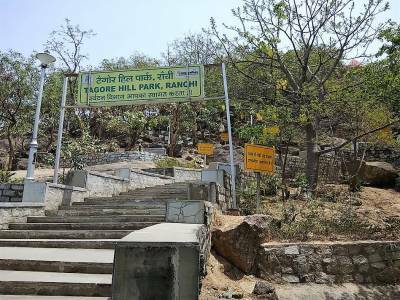 Tagore Hill, in Ranchi, one of the premier cities in the state of Jharkhand, has been made famous by Rabindranath Tagore, the celebrated bard and Nobel Laureate of India, one would think at first glance. However it may be surprising to know that Rabindranath Tagore had himself never visited the state of Ranchi or the location in discussion. 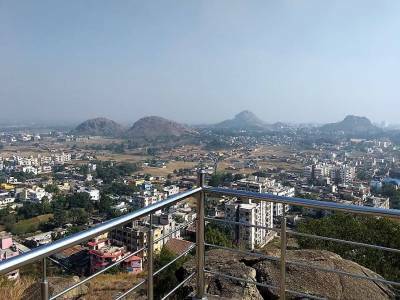 Tagore Hill, a very famous getaway destination in present day Ranchi town was originally known as Morabadi Hills and constituted a small hillock away from human settlement, in quietness and seclusion. The change in name was attributed to the much less famous older brother of the celebrated bard, Jyotindranath Tagore, who procured the land from its owner and chose to continue his life in seclusion, visibly upset and depressed after the untimely and unexpected suicide of his young wife. 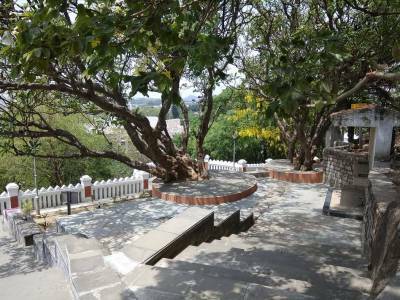 It is here that he constructed two architectural structures after procuring the hillock, Bramha Sthal and Shanti Dham, the latter being used for his residential purposes. 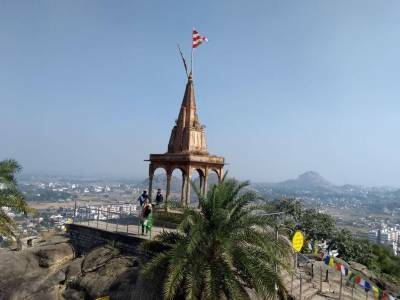 The Tagore Hill still exists as a popular tourist destination of Ranchi and people in numbers flock to the 300 feet hill to enjoy the calmness, serene beauty and peaceful atmosphere in the surroundings along with a nice overlooking view of Ranchi city. A Ramakrishna Mission, a center of spiritual retreat is situated at the foothills of Tagore Hill and enhances its stature as a spiritually recreational spot. The destination is equally popular among adventure lovers and thrill seekers pursuing adventure sports and activities like rock climbing. 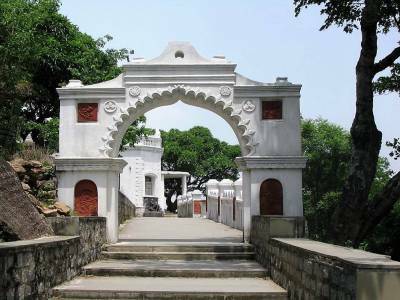 Get quick answers from travelers who visit to Tagore Hill.